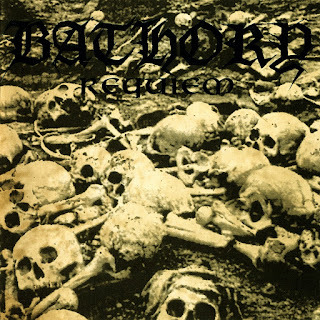 Cryptic though its title and cover image (boasting human skulls and bones strewn across the landscape) may seem, not everything about Bathory's Requiem spells an end to all things. 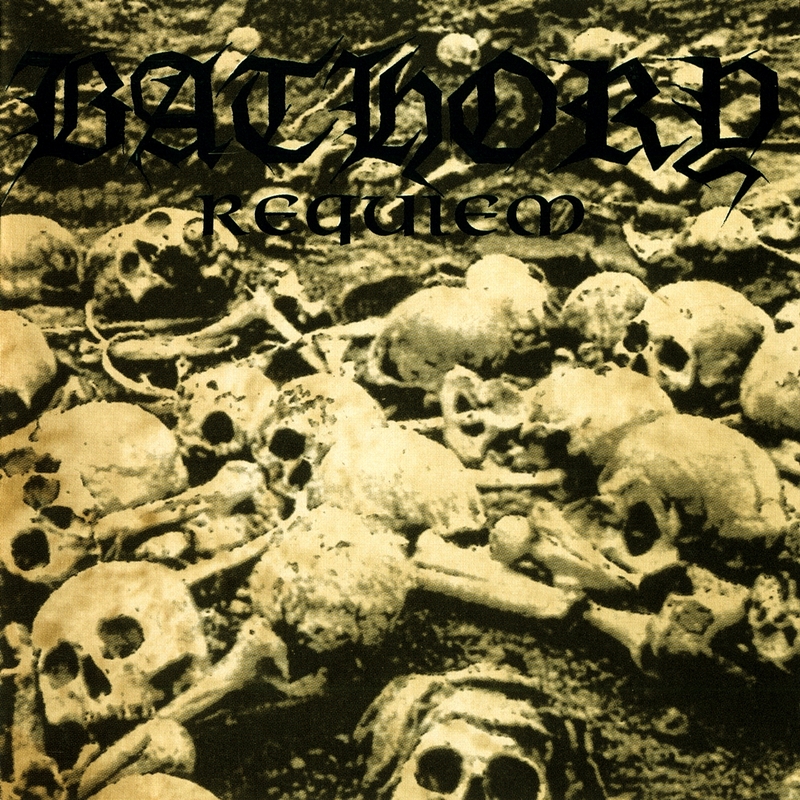 Instead, the album (Bathory's seventh) merely signaled a back-to-basics resurrection of the legendary black metal group's primitive, early-days simplicity, rather than offering yet another chapter in their Wagnerian, long-evolving Viking metal phase of the surrounding years. In retrospect, the album was clearly the first sign of Quorthon hitting a creative wall, with subsequent clues arriving in the form of his eclectic, but obviously searching solo releases of the same period, as well as Bathory's own, often inconsistent albums. In the case of Requiem, any trace of the lengthy epics, ostentatious arrangements, chorused vocals, and ambient keyboards that had dominated other albums was obliterated by the single-minded velocity and death metal mania with which tracks like "Crostitution," "Distinguish to Kill," and "War Machine" pierce the listener's skull. And you can forget about any clean singing, something which as of late had become the norm as well, but which was summarily slaughtered here by the gurgling convulsions of Quorthon's shredded larynx. Ironically, even though Requiem did benefit from the improved audio quality present on the band's later triumphs, on this occasion the final results were surprisingly inferior to the rough-hewn gems of their past. Requiem fell somewhere between the two extremes, thereby failing to fulfill the expectations of most of Bathory's fan contingent.